What a welcome back for Anwar Ibrahim! The crowd was variously reported as 10,000 or 20,000 or 30,000 strong. The exact numbers don’t matter. What is, is the fact Dato Seri’ Anwar Ibrahim can still pull in the crowd. 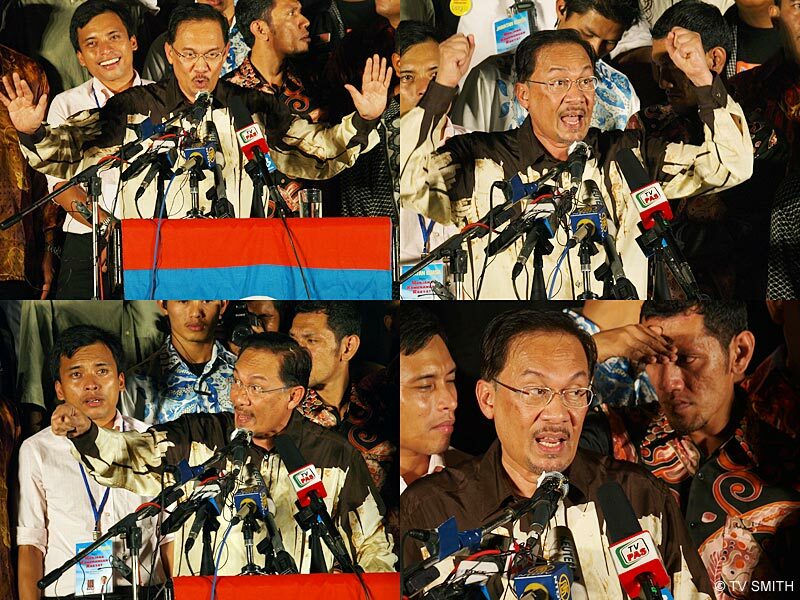 Dato’ Seri Anwar Ibrahim – de facto leader of Parti Keadilan Rakyat – leader of the Pakatan Rakyat coalition of PKR, DAP and PAS – last night celebrated his expiry of ban from active politics, 10 years after he was sacked as Deputy Prime Minister. The event was held at Kelab Sultan Sulaiman, Kampung Baru, Kuala Lumpur. The electricity in the air was vigorous, energising. 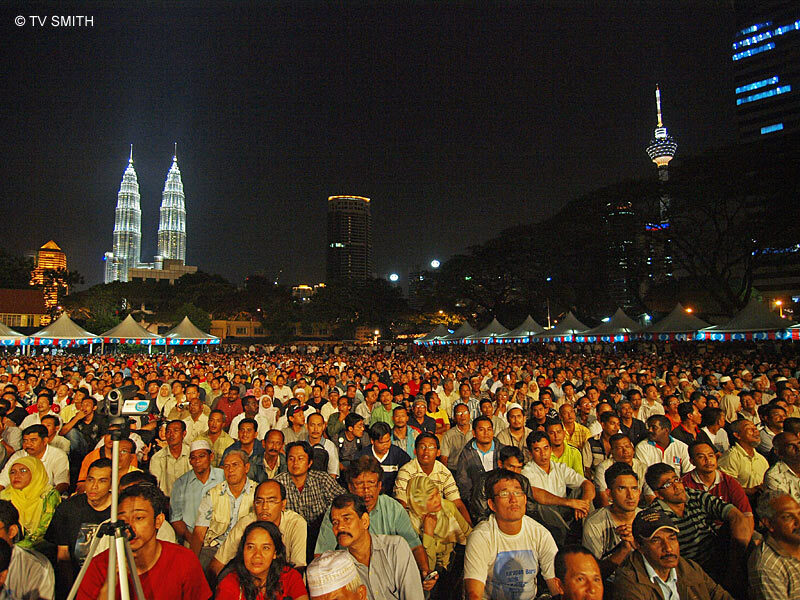 Malaysians of all types came to listen to their prime-minister-in-waiting. Dato’ Seri only had one message for them. Race-based politics is dead and Ketuanan Rakyat is the flavour of the new Malaysian agenda. You are a very romantic person aren’t you? These pictures speaks more than 10,000 words. I am now an Anwar supporter. « The height of irresponsibility!